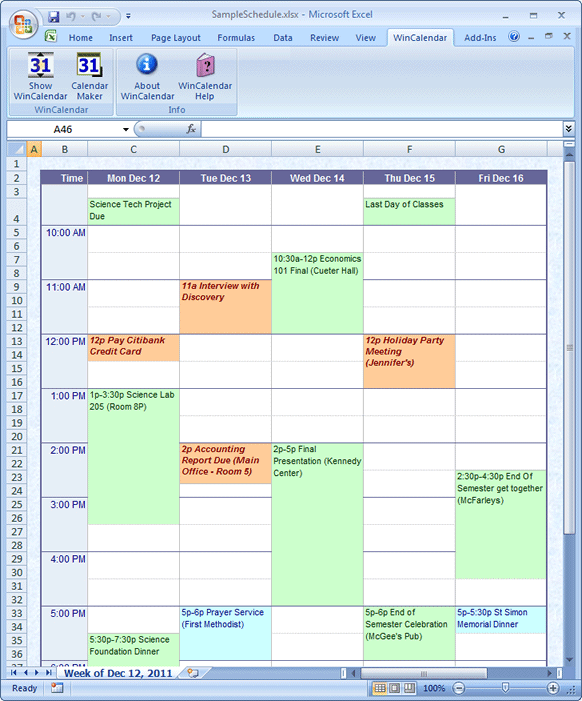 Import Google Calendar to native Word & Excel format in a variety of customizable layouts. 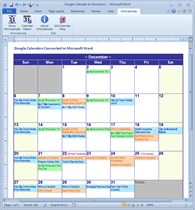 This is easily done from WinCalendar without having to export from Google calendar or CSV. 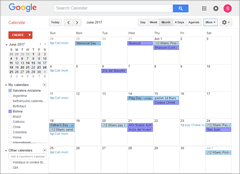 After initial setup generating a calendar with Google calendar events takes 2 clicks! Setup does not use your Google login info. 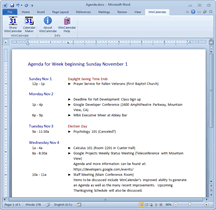 Once created you can then edit using all the features of Microsoft Office. 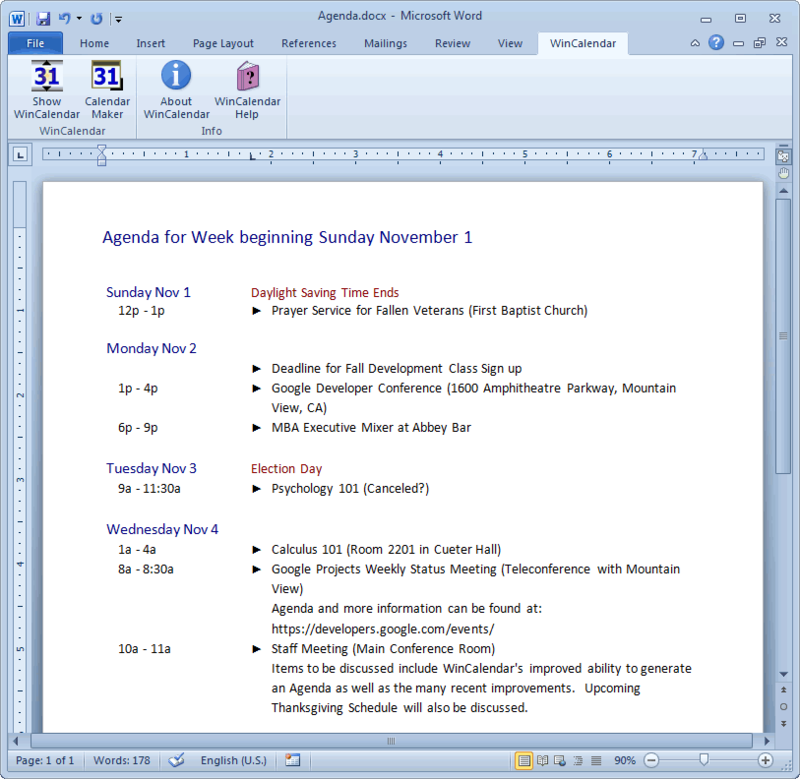 It makes a great Google Calendar printing tool as you can Print using all the features of Microsoft Word or Excel. You can also choose to import Microsoft Outlook or ICAL calendar data, Holidays and your own WinCalendar saved items (daily appointments, birthdays, reminders, etc...) all merged on the same calendar. For screen shots of supported calendar layout see here. Download WinCalendar or for more info see the links on the left. 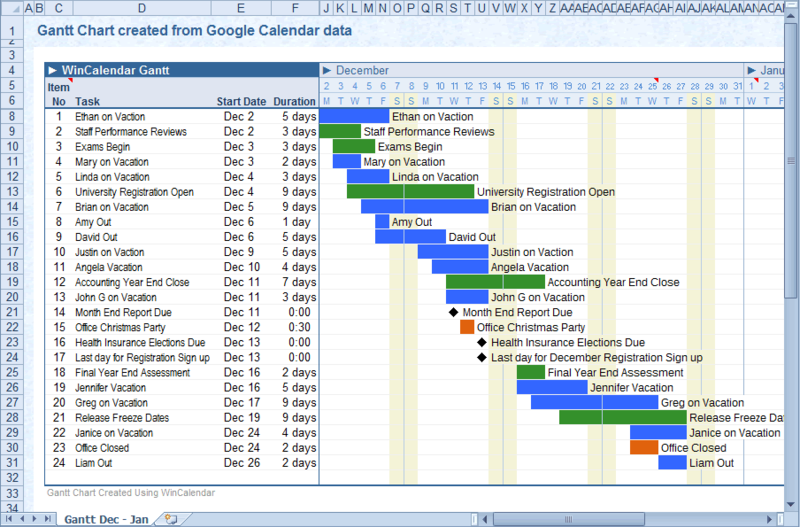 Google Calendar data as Excel Table. 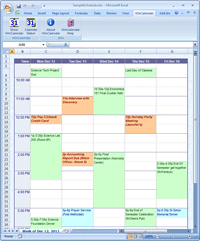 Google Calendar as a Schedule in Excel. 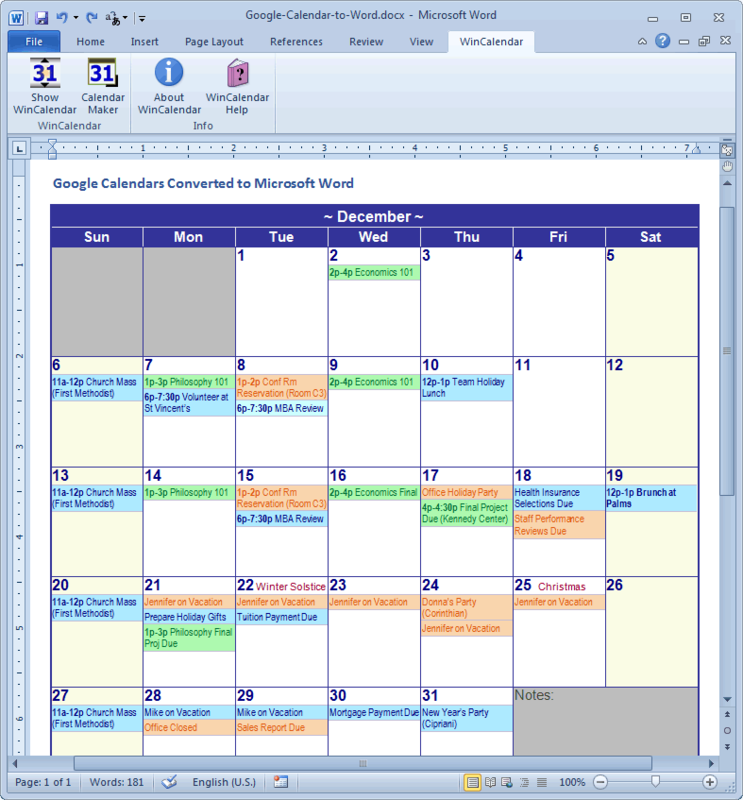 Google Calendar as an Agenda in Excel. 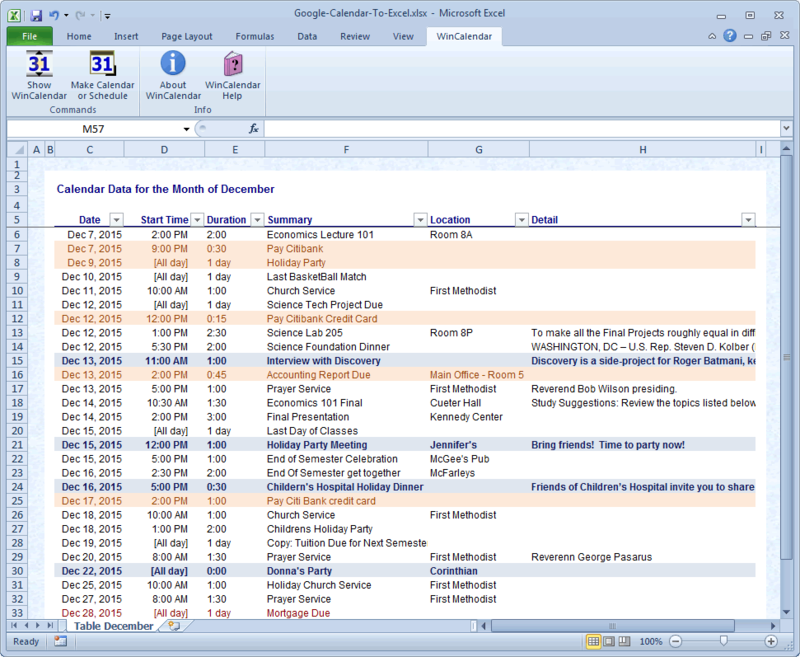 Google Calendar as Monthly Calendar in Word. 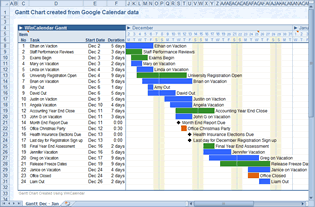 Google Calendar data as a Gantt Chart in Excel.